Lorenzo Insigne prefers Lionel Messi to new Juventus forward Cristiano Ronaldo, who the Napoli winger claims will not be able to win games on his own in Serie A.
Ronaldo had his medical and unveiling on Monday after completing a stunning €105million move to Juve from Real Madrid. 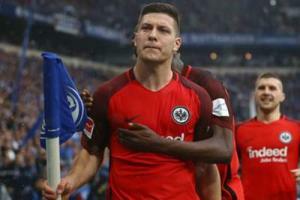 The transfer marks the end of his rivalry with Barcelona superstar Messi in a domestic sense, the pair having battled for supremacy in LaLiga since Ronaldo's move from Manchester United to Real Madrid in 2009, though the debate over which of the five-time Ballon d'Or winners is superior is likely to rage on. Ronaldo will look to fire Juve to an eighth successive Scudetto, but Insigne believes the Bianconeri will not be able to rely solely on the Portugal international. Speaking to Gazetta Dello Sport on Tuesday, Insigne said: ''I am curious to see how he will adapt to our league. Ronaldo's move to Italy has understandably been met with much fanfare, with 520,000 shirts bearing his name ordered within just 24 hours of his arrival. 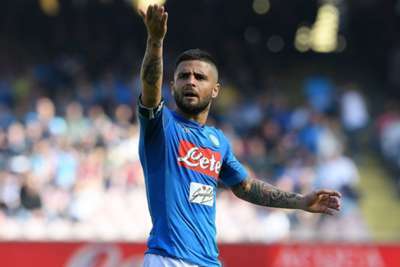 Napoli, who replaced new Chelsea boss Maurizio Sarri with former Juve, AC Milan and Madrid coach Carlo Ancelotti have been busy in the transfer market themselves. The Partenopei have signed Fabian Ruiz from Real Betis, winger Simone Verdi from Bologna and goalkeeper Alex Meret from Udinese as they bid to dethrone Juve, having finished four points adrift in second last season.